*Minimum order of $50 to redeem code. An email with your code will be sent to you shortly. 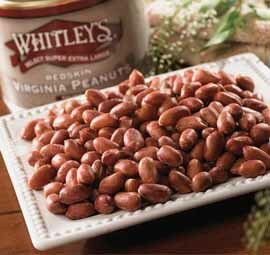 There's nothing that can duplicate the delicious taste of our "Home Cooked" Virginia Redskin Peanuts. 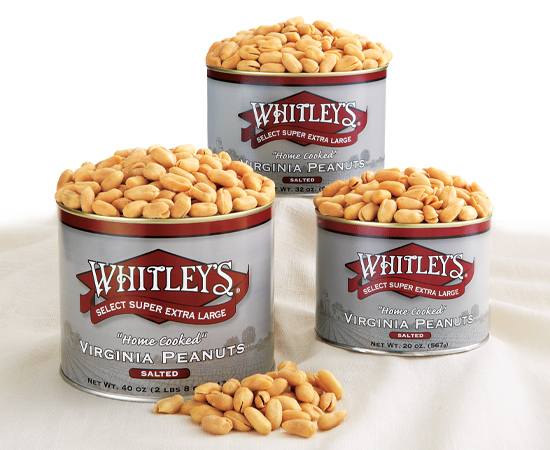 The first cousin to our famous "Home Cooked" Virginia Peanuts, they're shelled and salted (also available unsalted), with skins on to bring out their unique flavor. You simply won't find redskin peanuts this large, this fresh and this delicious at your grocery store. © Copyright 2019 Whitley's Peanut Factory. All Rights Reserved.